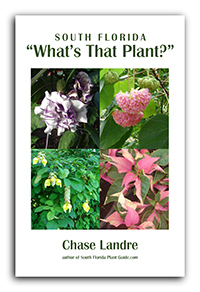 ...Dutchman's Pipe, Stephanotis, Chalice Vine, Mexican Flame Vine, Palay Rubber Vine, Monstera, Jade Vine, and Perennial Morning Glory. All are fast growers that require regular watering, though none like to be kept overly wet. 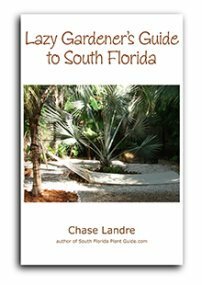 Except for perennial morning glory, they all like the warmer weather of Zone 10, though in Zone 9B you can plant a fast-growing vine as a summer annual...and if winter isn't too cold it may come back in spring. You might have to order these plants from your local nursery, or you may find them at rare plant sales. "Unusual" doesn't necessarily mean extra care - most of these are easy-to-grow plants that will make your garden areas stand out from the run-of-the-mill landscape. 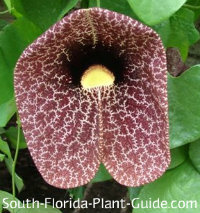 Dutchman's Pipe Vine (Aristolochia littoralis) blooms on and off all year (more in warm months) with big bizarre blossoms that attract butterflies. Of all unusual vines, this one's the weirdest. The flower stem looks like Sherlock Holmes' pipe, and the front is decorated in a burgundy pattern (another common name is "Calico Flower"). The blooms smell awful as they begin to rot (which attracts the butterflies to them) so don't plant too near the house, deck or patio. This vine is a larval host plant so butterflies-to-be will munch it, but new green growth sprouts quickly to fill in chewed areas. It contains toxins, so plant in an area away from pets and children. Plant in part sun to part shade. Stephanotis (Stephanotis floribunda) has stunning snowy white flowers that have been used in wedding bouquets - thus the common name "Bridal Bouquet." This elegant twining vine likes sun to part shade - and blooms nicely in partial shade. The flowers are fragrant and appear in spring, summer and autumn. 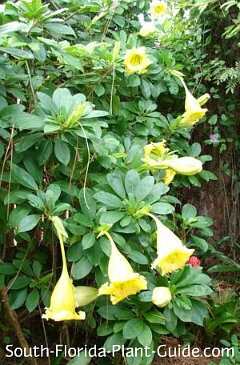 Chalice Vine (Solandra maxima) has immense blooms the size of a dinner goblet that start out cream-colored and turn to yellow. It's a very big vine that needs strong support, and contains toxins so wear gloves when handling if you have sensitive skin. These unusual vines are salt tolerant and prefer growing in part sun to part shade. They blossom in fall and winter and the flowers are fragrant at nighttime. Mexican Flame Vine (Pseudogynoxys chenopodioides syn. 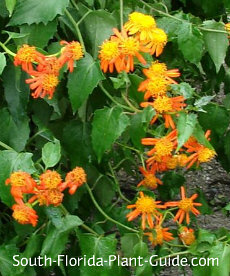 Senecio confusus) attracts butterflies with its spring and summer flowers. The bright blooms look like little orange daisies. Very fast-growing for full sun to part shade (blossoms more in sunnier spots). It can be invasive so choose a planting area with plenty of room. 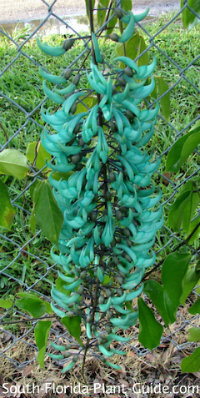 Jade Vine (Strongylodon macrobutrys) has spectacular spring blooms in turquoise, a very rare flower color in nature. 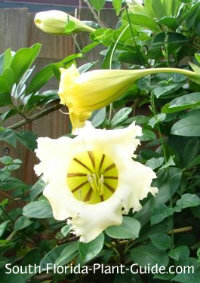 This vine can be hard to find and expensive but the almost unbelievable flower color makes it well worth planting one. It likes part sun to part shade and may take a year or two before beginning to blossom. Best in Zone 10, it's fast once established and needs regular water (but don't keep it overly wet). Palay Rubber Vine (Cryptostegia grandiflora) is sometimes called "Purple Allamanda," because of its pretty lavender summer flowers. Best in full to part sun, it's a twiner that can be invasive so give it lots of room to grow - keep a good distance from the property line so it doesn't invade your neighbor's yard - and pull up sprouted seedlings. This vine can cause skin irritations so wear gloves when handling and trimming. 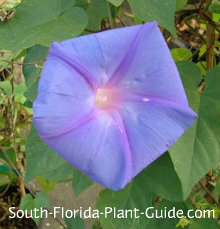 Perennial Morning Glory (Ipomoea cordatotriloba) grows best in part sun to partial shade. Eye-catching iridescent blue flowers open in the morning and close by afternoon. 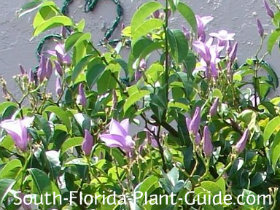 Said to attract hummingbirds, these vines can grow very vigorously so plan well for the right planting area. The foliage is usually somewhat spread out so it won't form a dense cover. 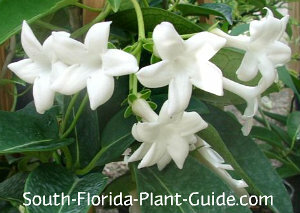 This vine is moderately salt-tolerant as well as being cold hardy and grows well almost anywhere in Florida. 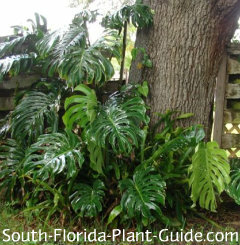 Monstera Vine (Monstera deliciosa) is sometimes called "Swiss Cheese Plant" and "Split Leaf Philodendron" for its huge and showy leaves. 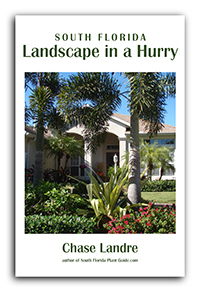 It's a fast grower with a jungle paradise look, best in Zone 10 in a partial shade location.